The 3 inch (75mm) Angled Tradition paint brush is a professional polyester/nylon brush for use with all paints for both interior and exterior painting. This angular brush size is best suited for larger areas such as walls, steps, fence posts, doors and very large furniture. We only use the highest quality filaments which makes this brush extremely durable and effective for precise edging. 2 in. 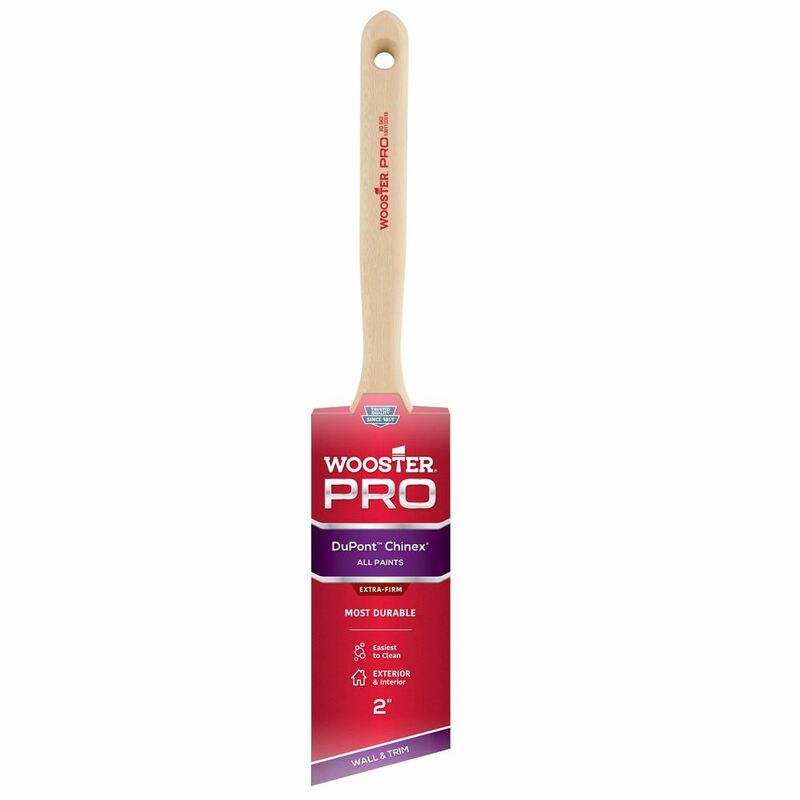 (50mm) Wooster Pro Chinex Angle Sash Brush Wooster Pro Chinex paintbrushes are made with the famous DuPont filament, but stand out among other Chinex brushes. A special tipping process allows these brushes to create a clean, precise paint stripe. These brushes are perfect for today's low VOCs and fast-drying paints and stains.